Are you thinking about renting Glendale California apartments? Moving to this city is a wonderful idea for a wide variety of reasons. For starters, you’re going to fall head over heels in love with their incredible luxury apartments. These gorgeous resort style living spaces have all of the greatest amenities including rooftop swimming pools, landscaped gardens and lounge decks to name just a few. But there are many other reasons why you should consider moving to Glendale. This city is a great place to live whether you realize it or not. And to help you gain a better understanding, we will discuss why living in Glendale is the perfect choice. At one point in the not too recent past, the first ever Baskin-Robbins 31 flavors made its debut in Glendale, California. As you can imagine, Baskin-Robbins is one of the most widely recognized ice cream chains in America today. But times are changing and Glendale is a totally different place these days. The people in this city are very conscious of their health and they really care about eating healthy food and living a healthy lifestyle. In fact, in 2013 the Glendale restaurant Da Juice Bar was voted as the “Best Fast Food of 2013” in an article published by the Glendale News-Press. This is only one great restaurant of many. Other fantastic options include: great vegan, gluten-free, and organic fare at Green Corner Café, scrumptious health oriented sandwiches, smoothies, and tasty salads at The Wooden Fork, and delectable locally sourced, global friendly meals at Tender Greens Glendale to name a few of the amazing options. 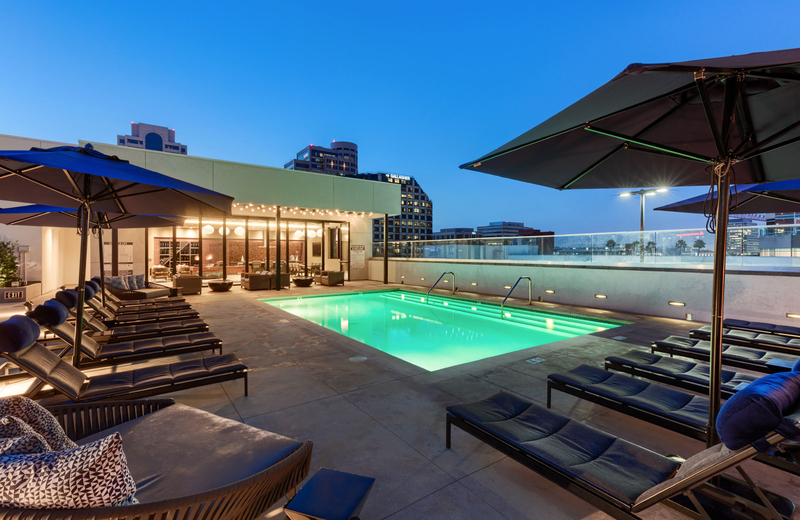 If you’ve ever desired to live in the lap of luxury, your options are plentiful in Glendale California. There are many wonderful luxury apartments to choose from in this city. We discovered Altana, which is a highly rated and glowingly reviewed apartment complex with all of the best amenities in an amazing neighborhood. In fact, Altana luxury apartments include many remarkable interior features like 9 foot ceilings, natural hardwood flooring, Italian porcelain marble tiles, stainless steel appliances, cabinetry made in a modern Italian style, stacked washer and dryer units, air-conditioning, and much more. And the building amenities are also excellent. You’ll enjoy expansive rooftop pools, a yoga room, a Zen garden, a state-of-the-art fitness center, a screening room, a co-workspace with Wi-Fi capabilities, and much more. Do not hesitate to check out the wonderful Glendale California luxury apartments sooner rather than later. You’ll be glad that you did. Certain cities that will remain nameless really don’t give a hoot about the environment. But Glendale is much different than those careless cities scattered throughout America. As a matter of fact, back in 1928 the city of Glendale first unveiled Miss American Green Cross. Glendale received this honor because the city works hard to preserve and save the precious trees in the local environment. Even today, and since 1982, the trees in Glendale are protected by the Indigenous Tree Ordinance. If you care about the earth as much as the residents of Glendale and you want to work hard to preserve and protect the native trees, you’ll be an excellent addition to the amazing community in this beautiful little city located on the outskirts of Los Angeles. When you live in Glendale, you live in the shadow of Los Angeles. And for many of us, this is a good thing. We have access to LA whenever we need to be there, but we get to enjoy the relaxing experience of suburban living and still lead a city oriented lifestyle. After you move the Glendale, you’ll get used to telling people that you live a few miles away from Los Angeles when trying to explain where you live. It may seem odd at first, but it’s basically how everyone explains were Glendale is located in California because it’s the easiest way to get your point across. Do you treat retail shopping as a religion? Great! You’re going to love Glendale if this is the case. The greatest shopping destination in Glendale is known as The Americana at Brand. This amazing outdoor mall experience is one that you will certainly appreciate because it was beautifully designed and perfectly set up to create the ideal environment for a little retail therapy when the timing is right. Or if you prefer, you can always go shopping in the Glendale Galleria. This used to be the most awesome shopping experience in the area. But The Americana has taken over and never looked back. All in all, there are many amazing places to shop in Glendale. You’ll never run out of wonderful things to buy that will make your life just a little bit easier and more enjoyable. Believe it or not, Glendale is home to one of the most interesting and unique library and art centers in the United States today. Known as the Brand Library & Art Center, this beautiful home for books and other artistic masterworks can be found in a mansion that was originally built in 1904. They have a wide variety of books, music, and other forms of media. Plus, this is a great place to go to watch performance pieces, experience wonderful lectures, and they even have an amazing art gallery for all to enjoy. And if that wasn’t enough, they completely renovated the Brand Library & Art Center very recently, so they made this beautiful location even more aesthetically pleasing if you can believe it. Take advantage of this amazing cultural experience. Visit the Brand Library & Art Center in Glendale today. At this point, you should be thoroughly convinced that moving to Glendale, California is the right choice. The city is environmentally friendly, has amazing luxury apartments, and is the home to one of the best libraries and art centers in the United States. You shouldn’t hesitate moving to Glendale sooner rather than later.